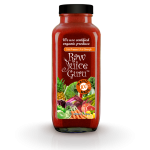 “You have only got three choices in life- give up, give in, or give it all you’ve got.”We at Raw Juice Guru produce cold-pressed, raw, unpasteurized juices with the highest levels of enzyme activity. 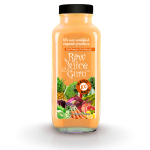 Our Raw juices continue to be fresh and drinkable on day Seven, but over time the live enzymes gradually begin to break down. However, we are committed to providing nutritious raw juices that taste amazing and are packed with living enzymes the body needs to thrive, Detox and Heal. This is amazing for you, and your whole family. You want to have cold pressed juice frequently and incorporate it in your lifestyle, whether you are a vegan, raw vegan, vegetarian , or a meat eater. Including Juices in your lifestyle has amazing benefits. Make life simple for yourself and let us Green Your Life With Juice. Juicing is one of the most powerful healing tools available. Fresh juices will supply your body with concentrated enzymes and nutrients needed for the nourishment and regeneration of your body’s cells, glands, tissues and organs.Also, your body can absorb larger amounts of nutrients from live juices than from solid foods because the process of digestion that is required when you eat whole foods is bypassed. No more guess work on what juices to make, no more buying juices from the store, no more even getting into your car, these are delivered to you. And these cold pressed juices were made just for you and/or your family with all your health needs and concerns. 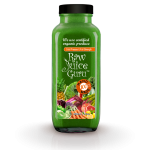 We carry 5 different sizes of bottles, please be aware of that when ordering, Juices come in 32oz, 16oz and 8oz bottles. Elixirs come in 1oz and 2 oz Glass Bottles. Minimum Order of 60 dollars is required for delivery in our free delivery zones. If you are from out of our free/extended delivery zones, 180 dollar minimum order is required for delivery.